Soho has undergone many transformations throughout its history, and was not always the hub of trendy boutiques and chains that it is today. At the end of the Revolutionary War, Soho development earnestly began when Collect Pond was filled and its water diverted to the Hudson River. 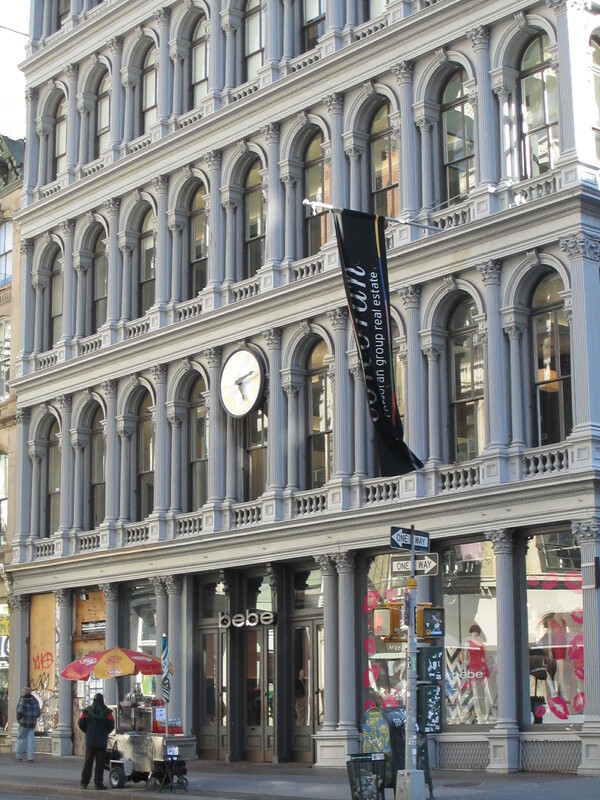 Middle-class families inhabited Federal-style rowhomes and by the 1800s, Soho had become a popular commercial district with theaters and retailers such as Lord and Taylor, Tiffany & Co., and the long-gone Haughwout Emporium. 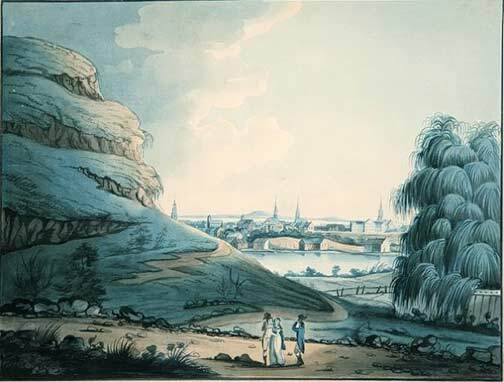 Collect Pond looking south towards New York City in 1798. Lower Manhattan's topography was hillier and some of the dirt from Mount Bayard on the left was used to fill in Collect Pond. 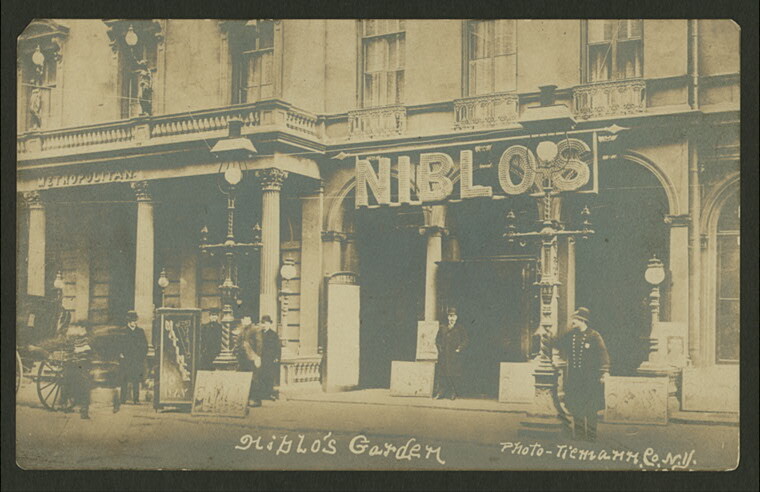 Niblo's Garden was a popular 19th-century theater in Soho. 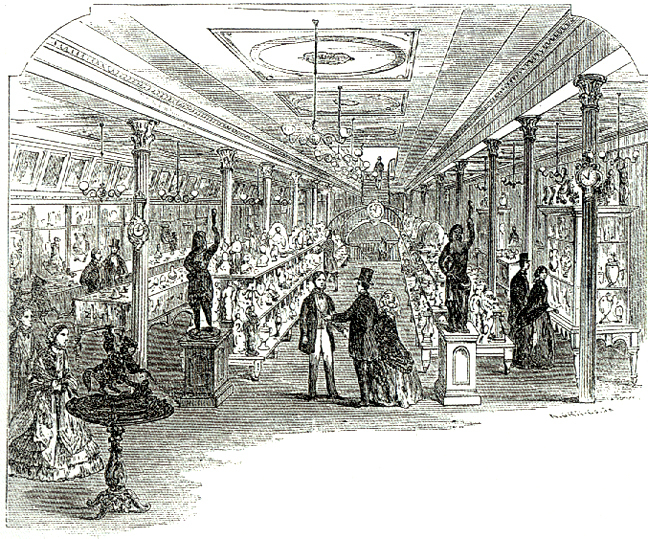 The Haughwout Emporium, owned by Eder V. Haughwout, was opened for business on March 23, 1857 and a manufacturer/purveyor of fine china, cut glass, silverware and chandeliers. The New York Times described it as “the greatest china and porcelain house in the city” in the 1850s. 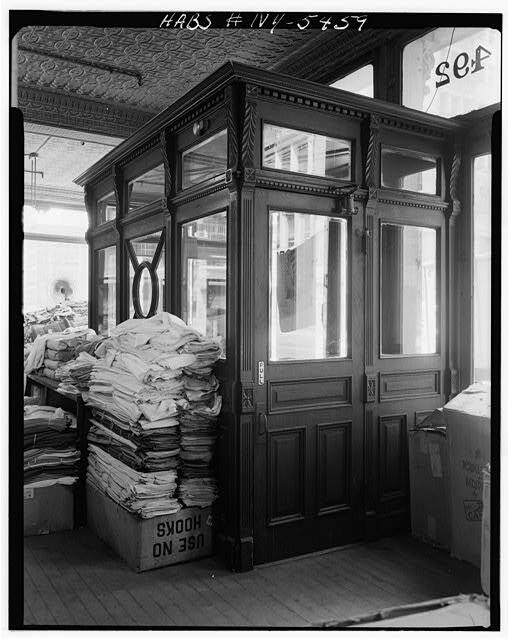 The Haughwout Building also boasted the first commercial elevator designed and installed by Elisha Graves Otis for $300. The elevator moved at .67 feet per second and had an automatic safety device. 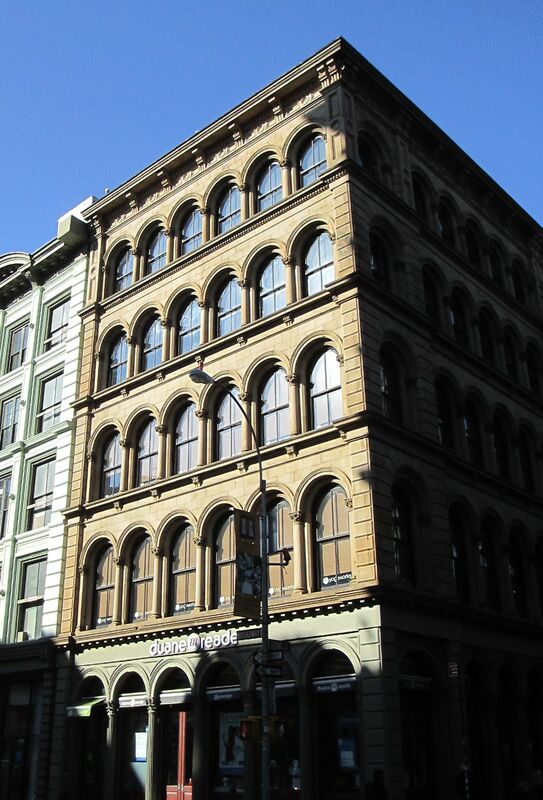 The building’s first three floors were designated for retail and the 4th and 5th floors held its manufacturing operations. 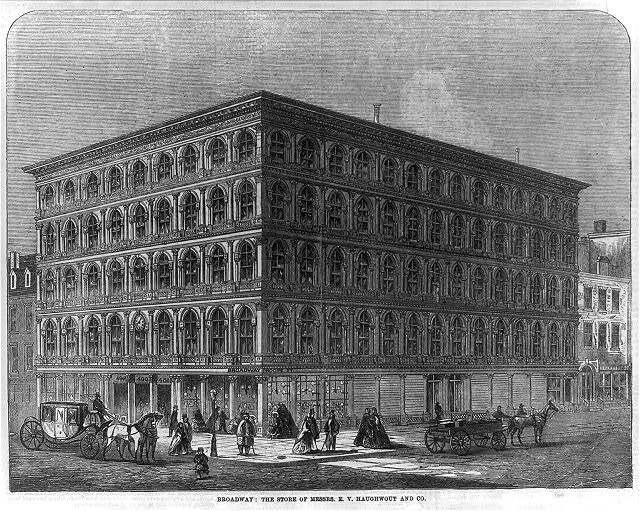 The Houghwout Building in 1859. Courtesy of Library of Congress. The building stands on land originally bought by John Jacob Astor in 1802. After his death, Astor gave the land to one of his grandsons, Walter Langdon, Jr. His real estate advisor, Abner Ely, correctly predicted its location on Broadway and Broome would soon be part of an important commercial area and proposed a building on the lot years before Soho emerged as the city’s center of commerce in the years after the Civil War. While Soho was the place for upper-class New Yorkers to shop during the early 1800s, the area had deteriorated into New York City’s first red light district by the time the Haughwout building was built, with brothels mostly found along Houston and Mercer Streets. 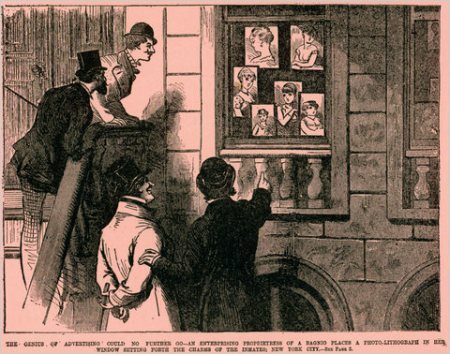 Admirers checking out the offerings in the window of a Soho brothel. Illustration from National Police Gazette, 1880. 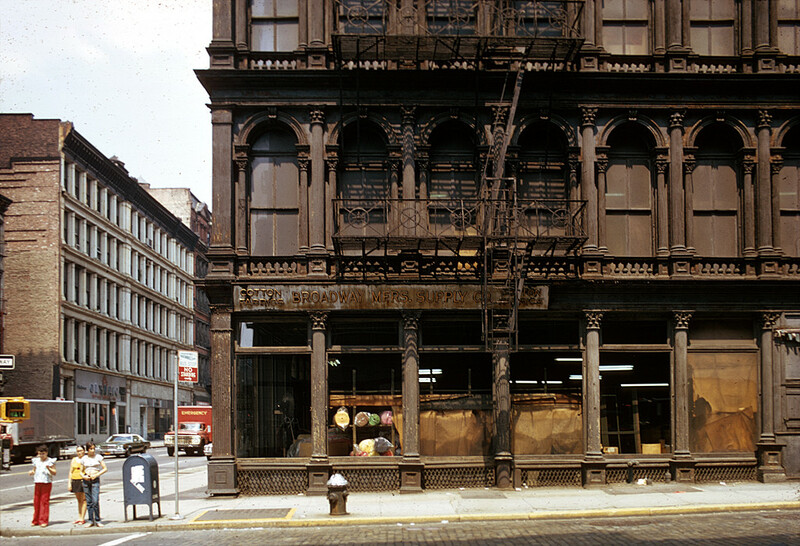 Haughwout’s success established a new commercial housewares strip near Broome Street. 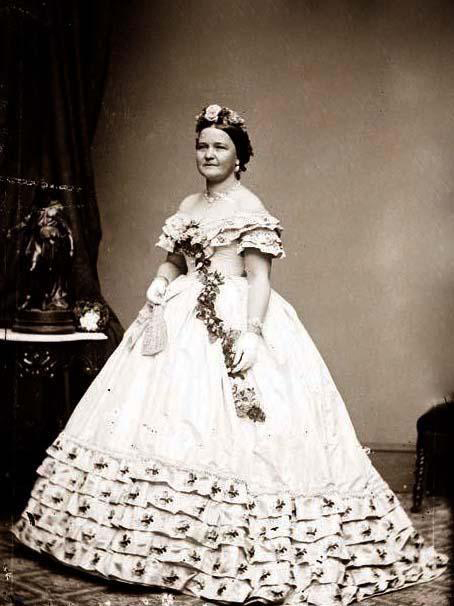 Its most famous client was Mary Todd Lincoln, wife of Abraham. 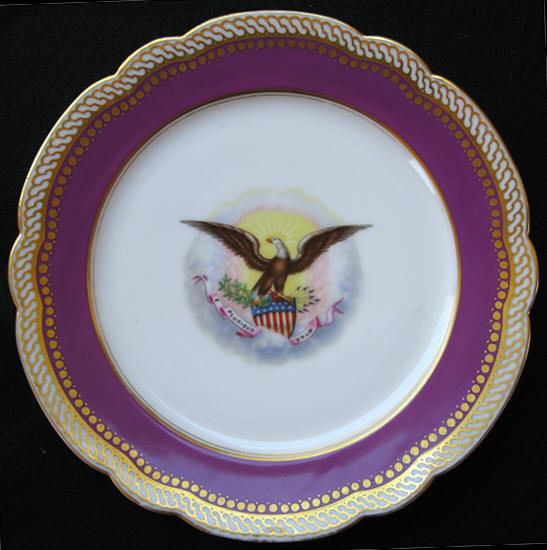 Dissatisfied with the mismatched and chipped White House china, Mary purchased a new set of serviceware with an American eagle design and wide mauve border. One can imagine the husband-and-wife quarrel that ensued over the $3,000 bill, an amount Abraham thought was exorbitant. Langdon’s estate sold the building in 1895 for $375,000. A number of textile and notions manufacturers and dealers occupied the building as the neighborhood shifted towards industry. In September of 1936, the Broadway Manufacturers Supply Company signed a lease for the entire building. By the 1950s, the textile industry had moved South and overseas; Soho became home to many printing plants and empty warehouses spaces. Rents were less than 50 cents per square foot and many spaces could be had for less than $100 per month (!). Around this time, Soho became a depressed commercial slum known as “Hell’s Hundred Acres”. Artists began to move into the neighborhood to take advantage of the cheap rents and spacious lofts flooded with sunlight. 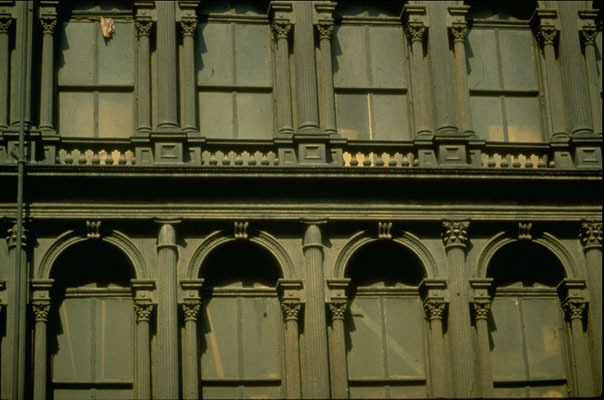 The cornice of the Haughwout Building in 1967. Had Robert Moses had his way, there would have been a downtown ten-lane elevated highway connecting the East River with the Hudson River. Moses’ proposal included the leveling of fourteen blocks along Broome Street. 1,972 families and 804 businesses would have been displaced, and the Haughwout Building would not have been spared. Around this time, the Landmarks Preservation Commission began to fight for the Haughwout’s designation as a historical landmark. Thankfully, Moses’ plans were defeated. Despite the victory, the Haughwout building was still in need of restoration. The building was sullied with dirt and grime, and many of Soho’s cast iron columns had become rusted. The Haughwout Building ca. 1980s. The Kaufman family, owners of the building since the 1930s, spent $175,000 in 1995 for Joseph Pell Lombardi to strip and repaint the building for its new commercial tenant, Staples. A cream color reminiscent of the building’s original hue was applied to the cast iron to cover up the black paint that had been used during its industrial days. Haughwout’s elevator, replaced in the 1890s, was removed in 2001 and a modern one took its place. The upper stories have been converted to loft space and clothing retailer Bebe moved in during 2011. 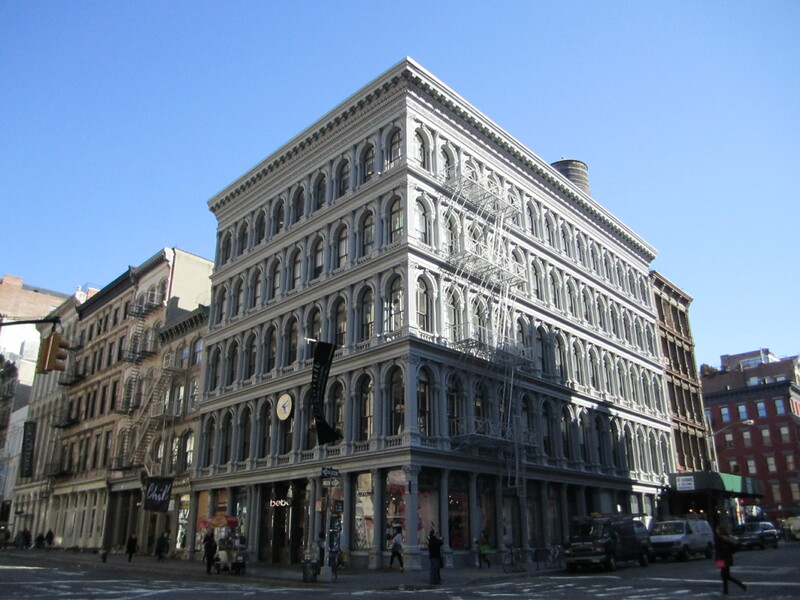 The Haughwout Building can be considered one of New York City’s finest examples of 19th-century cast-iron construction. Its presence through Soho’s phases of growth, depression, and rebirth illustrate its importance as a neighborhood landmark and residents’ willingness to preserve a piece of architectural history. 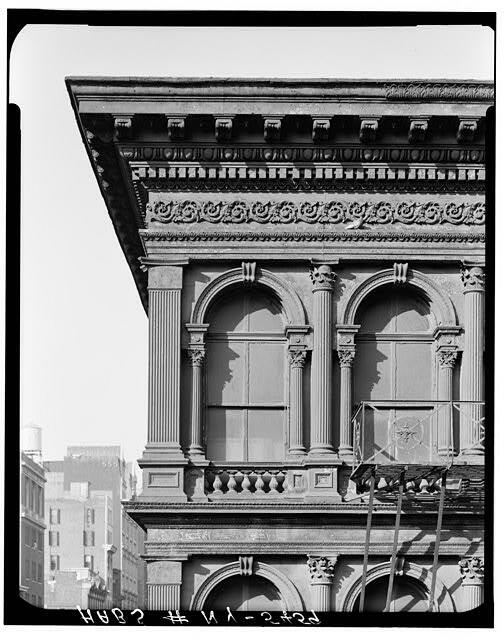 If you walk inside today, it can be difficult to picture its past with its renovated interior, but walk across the street and gaze at the building; you can begin to imagine the sights and sounds of a more genteel era in New York City history. the entrance to the elevator is south of the entrance shown here, though a separate door. you may be able to gain access to the lobby. inside, a plaque commemorates the elevator.